You’ve just kick-started your Agile team with design sprint. adjust their next steps accordingly. Your team learns quickly and avoids committing to delivering the wrong product; one that doesn’t quite meet your customers’ needs or answer critical business questions. product should look. 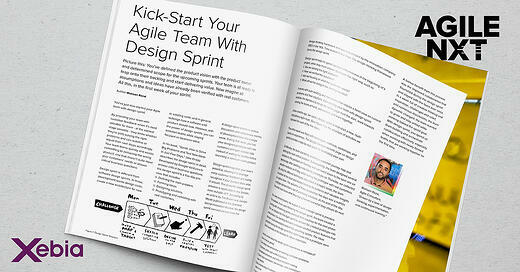 However, with the power of design sprints, you can kickstart teams while staying focused on business value. A design sprint shortens endless discussions and compresses months of development time into a single week. During that week, you test your designed prototype with real customers and gain realistic data instead of waiting for months before launching a minimum viable product. Design sprint magnifies your team’s potential, allowing it to leverage early customer feedback and swiftly recognize if your product does what it should. The powerful design sprint process is applicable to any domain, even outside of IT. According to an article by Tim Brown and Jocelyn Wyatt published in the Stanford Social Innovation Review, the design sprint concept derives from the design thinking framework and was popularized by the innovation company IDEO in the ‘90s. Time-boxed to five days, the design-thinking framework forms the design sprint. Have we verified the solutions? Are we focusing on what the customer wants? What will we be doing in the coming months? It works with both existing and new teams that require a fresh view on current problems and their solutions. Kick-starting your team with design sprint enables the members to be on the same page from the start, work towards solving the issues at hand, and explore and learn together. The entire week was filled with techniques, methods, workshops, and hands-on experiences. The Google Venture website page on design sprints provides a step-by-step guide for facilitating your own. On Monday, the team started by creating a customer journey map and defining the most critical problem. Subsequently, the team designed several solutions to this problem on Tuesday and narrowed down to the best one on Wednesday. After building a low-fidelity prototype on Thursday, we collected valuable feedback on Friday while testing the prototype with real customers. By using the different techniques described in Knapp’s book, the team visualized all the input and started looking for patterns and valuable insights to capture them. The outcome of these productive five days was a realistic prototype derived from a set of promising solutions. At the end of the day, the entire team knew what they had achieved and what they should do next. For newly-formed teams, the output of such a design sprint is precious. For example, in our case, following the design sprint, the team created a backlog with all learning points and built their roadmap for the next phase. Then, we initiated the first Agile sprint to convert the created prototype into a real product. 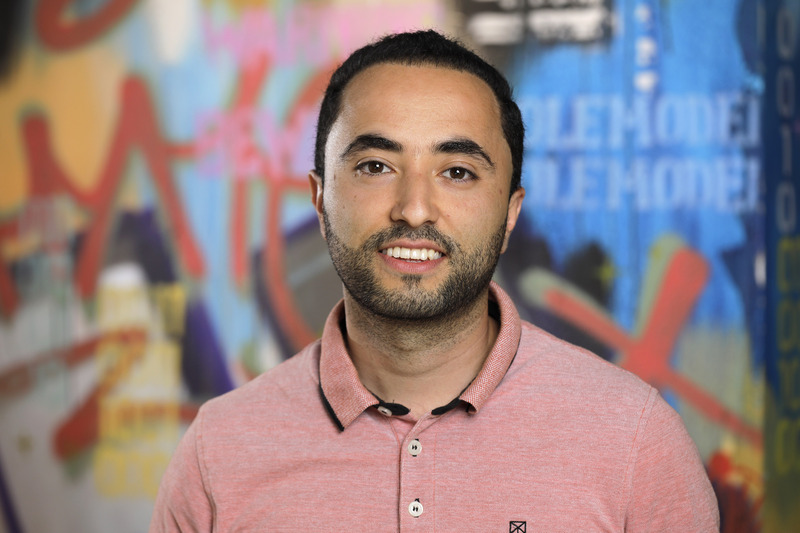 Our backlog included customer-verified product features that the team could immediately build in the upcoming sprints. The ideas generated during the design sprint that didn’t make it to a prototype were placed separately on the backlog for future inspection. How do we feel about the design sprint experience in retrospect? An entirely new perspective on existing customer problems. Accelerated processes and critical decision making. Shared vision and mission, knowledge, and commitment of every team member. Early understanding of customer needs and a solid backlog that reflects them. A bonus benefit from this process was the improved collaboration that flourished during the design sprint and stayed with the team ever since. In a week full of creative thinking and inspiration, challenges and relief, and numerous discussions, the team dynamic changed; the team learned to grow and stay united while working toward the sprint goal. With design sprint, you speed up team building and orchestrate collaboration effectively, especially when working with newly-formed teams that are working together for the first time. Want to know more about Agility? Download and start your personal change tomorrow.